Italian Handmade Baltic Butterscotch Amber Clip Earrings In 9ct Gold -GCL0032 RRP£500!!! A classic earring design with rare Antique Amber, butterscotch in colour and oval in shape. Italian Handmade Unique Baltic Amber Clips In 9 Ct Gold – GCL0009 RRP£360!!! Italian Handmade Baltic Amber Clip On Earrings in 9 Ct Gold GCL0010 RRP£460!!! Italian Made Classic Baltic Amber Clip On Earrings in 9ct Gold GCL0012 RRP£350!!! 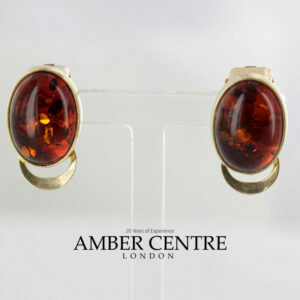 Italian Handmade Classic Amber Clip On Earrings 9ct Gold GCL0013 RRP£450!!! Italian Made Baltic Amber Clip On Earrings, 9 Ct Gold GCl0014 RRP£450!!! Italian Handmade Baltic Amber Clip On Earrings, 9 Ct Gold-GCl0015 RRP£450!!! Italian Handmade Baltic Amber Clip On Earrings 9 ct Gold-GCl0016 RRO£450!!! Italian Handmade Baltic Amber Clip On Earrings In 9ct Gold-GCL0017 RRP£350!!! Italian Handmade Baltic Amber Clip On Earrings In 9ct Gold-GCL0018 RRP£350!!! Italian Handmade Baltic Amber Clip On Earrings In 9ct Italian Gold-GCL0019 RRP£250!!! Italian Handmade Baltic Amber Clip On Earrings In 9ct Gold-GCL0020 RRP£300!!! Italian Handmade Baltic Amber Clip On Earrings In 9ct Gold-GCL0021 RRP£250!!! Italian Handmade Baltic Amber Clip On Earrings In 9ct Gold GCL0022 RRP£250!!! Italian Handmade Baltic Amber Clip On Earrings In 9ct Italian Gold GCL0023 RRP£395!!! Italian Handmade Baltic Amber Drop Clips In 9 Ct Gold GCL0024 RRP£550!!! ITALIAN HANDMADE GERMAN BALTIC AMBER DROP CLIPS IN 9 CT ITALIAN GOLD GCL0005 RRP£850!!! Italian Handmade Classic Baltic Amber Drop Clips In 9 Ct Italian Gold – GCL0005/A RRP£600!!! Italian Made Unique Baltic Amber Clip On Earrings In 14 Ct Gold – GCl0112 RRP£850!!! Italian Hand Made Unique Baltic Amber Clip On Earrings In 14 Ct Gold – GCl0516 RRP£750!!! Italian Handmade Unique Baltic Amber Clip On Earrings In 14 Ct Gold GCL0011 RRP£800!!! Italian Hand Made Unique Baltic Amber Clip On Earrings In 14 ct Gold GCl0524 RRP£700!!! Italian Made German Baltic Amber Clip Earrings In 9ct Gold GCL0001 RRP£600!! !